Paddle board fishing has been around for quite a while now. Due to the incredible experience that it offers, it has become a widespread activity among adventure lovers. 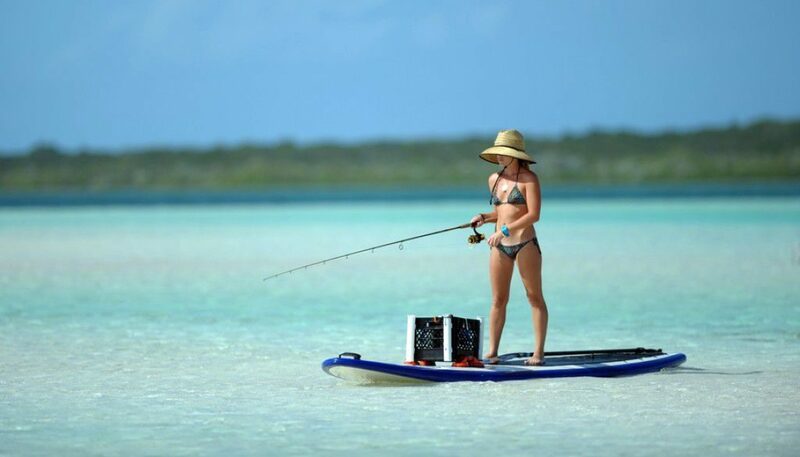 The most loved thing about paddle board fishing is that you can access it just about anywhere, and some super shallow places that you would not go in a boat. Additionally, you can launch a SUP almost anywhere you can get to on foot. You can get around quite faster while on a paddleboard rather than trudging it walking. 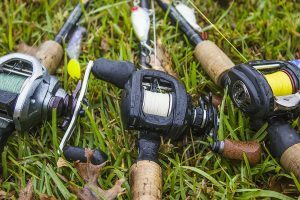 Paddle board fishing offers an incredible way to venture out to your most-loved fishing spots, and the following paddle board fishing gear and accessories are ideal for helping you land your next big fish. When you decide to go for paddle board fishing, you will obviously need a paddle board in the first place. There are many kinds of boards available. 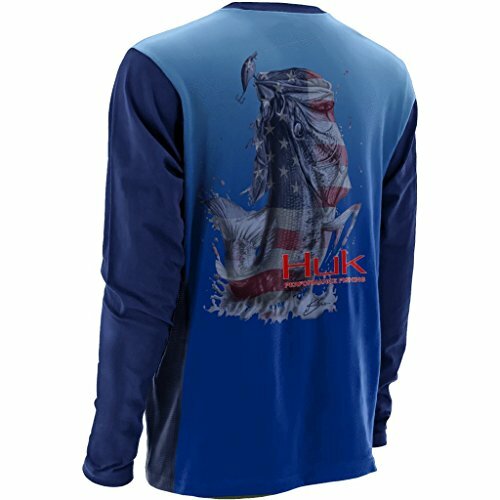 However, there are those that are highly suited for paddle board fishing. Therefore, you need to be very careful when selecting your board for paddle board fishing. Board selection is a very critical decision that any angler has to make when thinking about paddle board fishing. You want the right shape, size, and more substantially, stability. Its displacement hull helps you with tracking and slicing through the rougher water. A full bow and a recessed standing platform keep you stable and safe as you paddle. 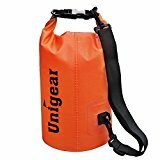 This also keeps your gear high and dry. BOTE Board’s 12’ Rackham can hold a capacity of about 400 pounds. The Rackham also features a five fin setup. So, if you would like to explore the shallower waters, you just need to take out the centre part of the fin and head on. Free your arms to bait your reel and hook in that big catch by stowing your paddle in the BOTE innovative Paddle Sheath®. Keep your fishing gear dry using the BOTE’s patented Tackle Rac. Also featured on the BOTE Rackham is a stake out options through two thru hole, where one is Power Pole® Micro compatible. Additionally, there is a bungee system located on the front and back of the paddle board that will help to hold more gear and some fish that you catch. 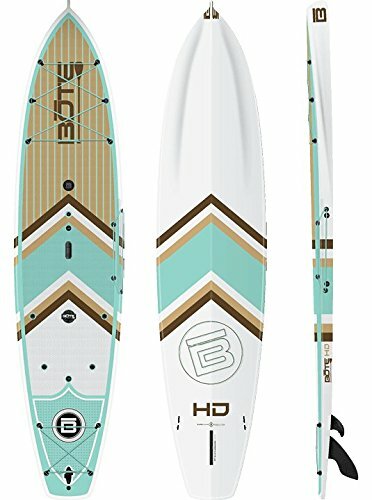 Whether you would like to go on a fishing excursion during the weekend, or a quick fishing trip, the BOTE Rackham is the perfect paddleboard for you. A personal floatation device (PFD) can also be referred to like a life preserver, life belt, life jacket, life saver, life vest, floatation suit, cork jacket, or buoyancy aid. It is simply an equipment that assists you to keep afloat in water. While doing paddle board fishing, anything can happen, so it is always good to carry a PFD with you when going to travel on the waters. PFDs come in different sizes that can suit variations in body size and weight. Designs will differ depending on the level of protection and convenience. There are five types of PFDs and here is some information about each of them. This is a Standard Type I life jacket that suits any offshore vessels. This kind of PFD is the most buoyant and hence suitable for almost all types of water conditions. They are perfect for isolated or rough water where rescue might be delayed. Although this life jacket is a bit bulky, it can turn most unconscious people to the face-up position. This is very important when it comes to ensuring the safety of the individual. Type I PFDs sizes range from adult to child. These type of PFD is ideal for open and calm water where help or rescue is likely to occur quickly. 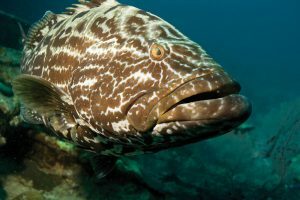 They are not designed for long periods in rough water and can turn some unconscious wearers face-up in the water. However, this will highly depend on their size. This kind of PFD is less bulky and also the least expensive PFD in the market. Disadvantages: Not ideal for rough waters or delayed rescue. Type III PFDs can also be called floatation aids. They are for open and calm waters where help is likely to arrive quickly. They are designed to keep the wearer in a vertical position. However, the wearers have to maneuver themselves into a face-up position to stay safe. This kind of PFD will keep an unconscious wearer face-up, just as good as a Type II vest. These kinds of PFDs are very comfortable to wear and are ideal for paddle board fishing. These PFDs are designed to be thrown to an individual in water. The individuals have to be conscious, of course, so that they can be saved. Type IV PFDs are not designed to be worn. Some examples of this kind of PFDs include a life ring, buoyant cushion, or a horseshoe buoy. Some examples of this kind of PFDs include a life ring, buoyant cushion, or a horseshoe buoy. Disadvantages: Not ideal for an unconscious person, or children. These PFDs are designed to be worn for specific activities as stated on their label. For effectiveness, they can be worn according to the stated specifications, and most can be worn at all times to qualify as a PFD. Advantages: Useful for a wide variety of activities. Wearing them consistently prevents any chances of being caught without protection. Disadvantages: Are less safe when not worn according to the stated specifications. There are several factors that you need to consider when selecting a PFD. If you are an adult, your chest size and not your weight will determine the PFD size that is right for you. Sizes will vary depending on the brand and model. Therefore, you should be very careful when selecting the right size for you. A PFD ought to be snug and fit like a glove, and yet allow you some space to move freely and not chafe while playing or paddling. To get the perfect fit and feel, try on your PFD as you paddle. Every PFD can have distinct foam placement and design to fit the contours of the body. Foam placement helps in comfort rather than safety. Note that the more straps a PFD have, the more the adjustments that can be made on it to customise its fit. Buoyancy can be described as the force that is needed to keep an individual’s head and chin afloat above water. Most people, especially adults, require an extra 7-12 pounds of buoyancy to stay afloat. Furthermore, your body fat, weight, clothing, and lung size are all the main factors to staying on top of the water. In summary, the more fit you are, the more the lift you desire. Currently, contoured foam panels have managed to replace the heavy foam ribs of the older PFDs. These latest PFDs can be side-entry, pullover, or have a zipper up the front. Therefore, your choice will depend on your desire. To allow for natural movement and more comfort, look for large armholes, a deep neck, and narrow shoulder straps. Most PFDs are low-profile or waist length, perfect for most paddling sports. There are numerous kinds of PFD flotation materials. Your choice here should be based on environmental consciousness, performance, and most importantly, cost. Examples of floatation materials used to make PFDs include: Kapok, PVC, and Gaia™. If you are wearing shades while fishing, the chances are that they will be for functionality and not for fashion. Additionally, looking good when fishing can be impossible at times bearing in mind that the standard attire for this is a bucket hat and a khaki vest. Moreover, shades might impair your vision a little bit while fishing. We would recommend that you use other types of sunglasses apart from shades while undertaking paddle board fishing. 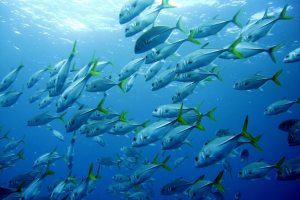 Well, polarized glasses will give you an edge when it comes to spotting fish in the water. Just like conventional sunglasses, polarized lenses deter you from squinting when sun rays happen to bounce off the water surface. Additionally, they offer a clearer image of what is in the water. 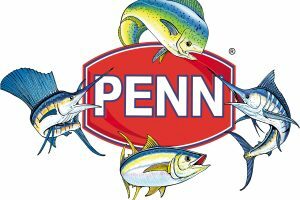 Therefore, when you wear polarized sunglasses, you can easily spot a feeding trout swimming against the water current. Also, most polarized glasses provide you with UV protection, something that will prevent damage to your eyes. 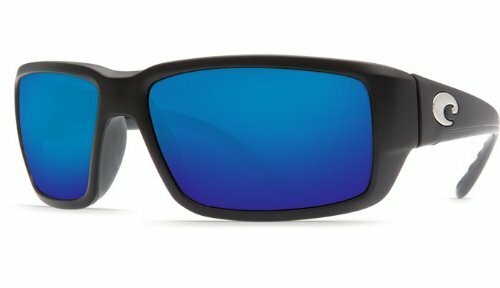 How to choose the perfect sunglasses for fishing? 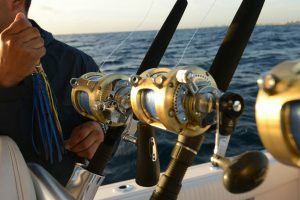 When searching for fishing sunglasses, you are likely to see two main types – casual and sports glasses. Casual sunglasses are made to shade the eyes and fit comfortably. On the other hand, sports sunglasses are form fitting and lightweight. They are made to hug the face, and due to their rubberized coatings, they can stick to your face even when sweating. These glasses come in Bono-inspired styles with interchangeable and wide lenses. Either of the mentioned sunglasses is a beautiful choice for paddle board fishing. However, sports sunglasses have better features, hence more preferred. This rating is critical as it will determine the effectiveness of your sunglasses at doing their job. We advise that you go for a pair of sunglasses with the right amount of VLT which can meet the brightness of the outdoor conditions. 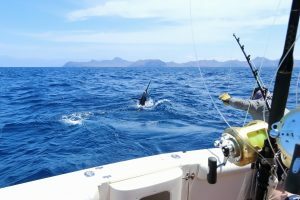 While fishing during sunny days, you will want a VLT rating of less than 20%. This means that only 20% of visible light gets into your eyeballs. During an overcast, you should go for sunglasses closer to 50% VLT. Polarized lenses help to filter out some sun rays that make it to your eyes. What happens is that polarised lens block some orientations of light waves. Polarized lenses are hence necessary as they deter excess light waves from getting in contact with your eyes. You might have all the essential tools for paddle board fishing, but where do you put them? The BOTE Tackle Rac offers the best solution here. 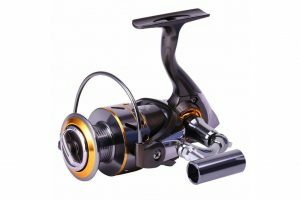 This is because it not only holds your tackle and rods but also comes with two arms or a bag or backpack. But do not worry if you do not have them. We recommend that you use a 5-gallon bucket to house your gear. Although most paddle board fishers use their Tackle Rac along with the bucket, there is a way you can go around this. Apart from the paddle board itself, the 5-gallon bucket is critical when it comes to paddle board fishing. Most professional paddle board fishers never leave land without one. 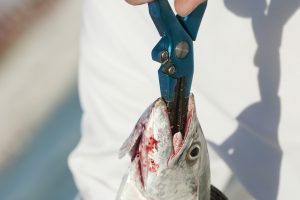 An obvious reason to use the bucket is to hold live fish or bait. However, the bucket can be made to do other important tasks. During the first launch through the surf, you can use the 5-gallon bucket to hold the net. As soon as you remove the surf zone, the bucket will become your live well. Just throw a half dozen mullet or live bait in the bucket and then leave the net attached to the Tackle Rac. If you hook up to a larger fish, say a tarpon, tie the 5-gallon bucket to the rope of your cast-net then throw it overboard. 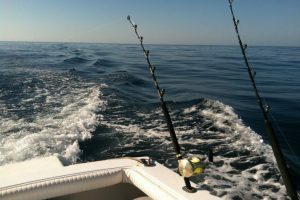 At this point, the bucket will be acting as a drift anchor as it will apply extra drag to the fish. If you plan to land additional tarpon, we recommend that you use two 5 gallon buckets to produce more stopping power. On windy days, you can use one bucket to play the role of a drift anchor to help slow down your flow and keep you positioned in the feeding region for a long time. When it comes to storage, a cooler offers the best solution. It provides you with a place to seat, a section to mount rod holders and other essential accessories, and most fundamentally, stores food and drinks. 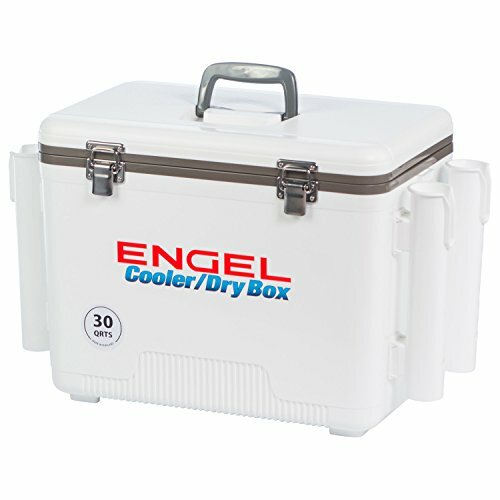 A cooler like the Engel’s Dry Box Cooler 30 with Rod Holders offers you with everything that you desire out of a cooler. It is not too bulky, and you can fix it with a cushion for extra comfort when used as a seat. Speaking of using a cooler as a seat, sitting lowers your center of gravity, making it very easy for you to navigate through tricky sections of a river or rough waves. It also provides beginners and kids with a stable place to get out on the paddle board. By providing you with the advantages of customization, storage, and stability, a cooler turns your paddle board into the best fishing platform. Protection your skin from harmful sun rays while enjoying paddle board fishing is all about comfort and health while on the water. Maintaining the right sun protection is critical as too much exposure can cause complications such as skin cancer. There are two kinds of ultraviolet rays that can cause harm: UVA and UVB. UVB rays lead to sun burns while UVA rays can cause skin cancer. Sun Protection Factor (SPF) acts as a timetable of sorts, helping you to be aware of how long it will take for your skin to redden while utilising a product that features it like sunscreen. We advise that you use the right sunscreen depending on the intensity of the sun rays at the place where you will be doing paddle board fishing. Wearing a hat or buff will also play a great role in preventing intense sun rays from causing damage to your skin. As far as paddle boarding accessories are concerned, we can agree that you can never have too many dry bags. Most waterproof bag brands come in distinct sizes ranging from 5-40 litres. You can use this kind of a bag to store your devices and gear. You only need to strap a waterproof bag to your paddle board and be confident that your equipment will be safe and dry no matter how rough or smooth the water is. Most waterproof bags come with shoulder straps attached, making it easier for you to transport your luggage to your next destination. This bag is ideal for those with kids, dogs, or who are simply heavy Packers. A leash helps you to keep your board secure while paddle boarding. It provides the combination of strength, flexibility, and comfort while securing you to your paddle board. When selecting a paddle board leash, you should pay high regard to the length of your board. The rule of thumb here is to get a leash that is a little longer than your paddle board. You don’t want to purchase a short leash as you might end up getting hit by your board on the recoil. Furthermore, you can buy either a straight or coiled SUP leash. Additionally, you can purchase a leash designed to attach to your ankle or calf depending on your desires. Transporting your paddle board can prove to be a very daunting task especially when you don’t have the right mode of transport for it. The average length of a SUP is ten feet, and it has the potential of catching the wind, acting as a parachute atop your car. 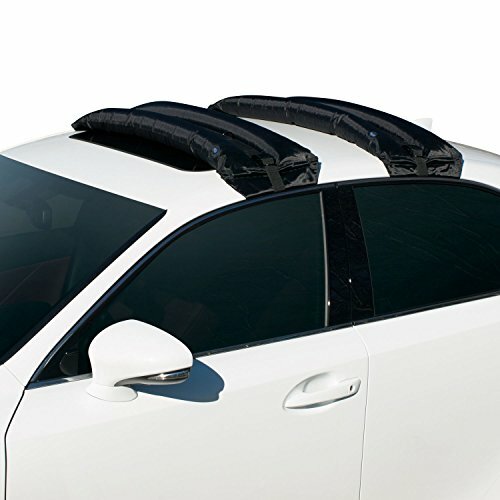 Having the right paddle board car rack ensures that the board is safe. Since struggling to get your board on and off your vehicle will make you use it less often, it is essential to have the best mode of transport for it. When buying a car rack, be sure to do more research and identify the perfect rack for your vehicle, regarding size and efficiency. Paddle boarding is meant to be fun. However, since it is an activity involving water, anything can happen. Therefore, you are supposed to be very prepared to ensure your safety and security while on water. 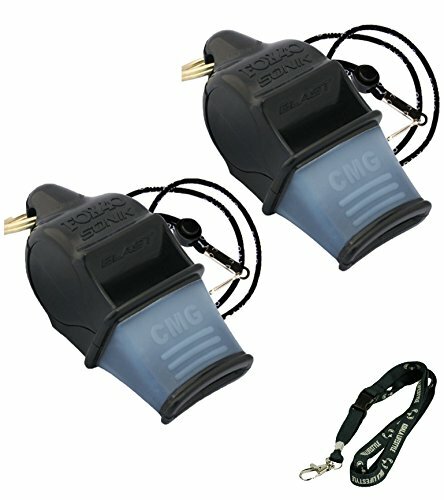 Some safety equipment that you should carry includes a life jacket and a sound producing a device such as a whistle. If you are operating at night or in limited visibility, you will need a lantern or flashlight that produces white light. You should display it to approaching vessels to avoid any collision. Additionally, if using your paddle board in coastal waters during the night, visual distress signals might be needed. Paddle board fishing is a fascinating and enjoyable activity. To make the experience even more incredible, having the right paddle board fishing gear apart from the board itself does the trick. Carrying with you essential equipment like a PFD, sunglasses, fishing rod, fishing net, a cooler, a sun protector, and leash, will not only ensure a memorable experience but will also ensure your safety during paddleboard fishing.